I've played through, and wow, I just can't resist saying what a sweet marvelous map it is! And it also plays well, unlike mine. I'm actually wondering how "well" my map plays from another (participating) mappers' or the playtesters' perception. Agreeing with Cell's spoiler here, haven't really playtested mine properly so I'm looking for someone else's (critical) thoughts. I think I balanced it enough though. Also, it looks like I won't finish that second map of mine as I've been very busy from the 13th onwards with a new semester unfolding. Glad to see that the project is still alive! I'm still so proud of Cyberdemon Heliport. I did a playthrough of Cell's and Hurricyclone's maps, get the demos here! Note that I played the most recent version of Map17, so the demo should work. Cell: Really nice looking level, very intimidating looking. I'm not sure why you think your map plays "bad", because I thought it was fine. I think a few of the traps might be too easy to escape from; in the library trap, I literally managed to fall down the stair case despite the commotion being made from the chaingunners and Hell Knights and I didn't even get hit. I'm not saying make the map Plutonia hard, btw, as I felt the difficulty was just fine otherwise. I found a very small percentage of the secrets in your map, so the map is very completable without them. Consider lowering the damage in the lava pit that leads to the Blue Armor; I fell in it because I couldn't see the gaps in the ledges, and suddenly I had lost 40% of my health. Once again, really great looking level, great use of faux bridges and fancy effects, really fun to play. Pretty sure I played the most recent version of this as well, CyoBC.wad I think. Hurricyclone: This is another really fun level; it looks very nice, though each court yard looks the same for the most part, and I'm not to sure if the plain grass texture for a floor works that well. Since it's a series of courtyard, maybe place some walk ways or (very low) hedges or something to make it look more... courtyardy :p Right now, it really looks more like an inner castle. Gameplay wise, the map is fairly challenging as I died three times and ultimately couldn't finish it. The farthest I got was the Cyberdemons, which I'm not too sure how anyone can survive that blind (three of them!?) There either needs to be some cover in that fight or more wiggle room. For the pinky demon trap, you might want to move the pinky demons back slightly, as picking up that rocket launcher and immediately firing seems like certain death for anyone who charges into that court yard at top speed. Overall, two really nice maps, sorry it took a while to get some play testing done. I've played through, and wow, I just can't resist saying what a sweet marvelous map it is! The one which had its pictures from an earlier post, obviously. Might try that MAP01 later, too, since I'm given a - yet uncertain - draft how your average mapping looks like, and I hope I won't get disappointed. As for the note made on the doorway bug: dang, I always forget that the player's sprite gets a bit "fattened" when the level is tested in Boom, not ZDoom. Might rework. Also, didn't the map suffer from monsters unable to teleport? For the note made on playing well: I haven't done anything as a community work since I'd completed my last map for Hadephobia 2 years ago. My general mapping technique was quite bad back then, mostly general complaints on cramped spaces and bad thing (not particularly enemy) placement. I seriously tried to avoid these annoying elements during these mapping series of mine, and I was curious how effectively it succeeded. I have finished the visual/mechanical part of the map. Now I am just adding monsters, pickups and testing the gameplay.. I probably could change the grounds a bit for the four courtyards, not really adding hedges though since I don't think custom sprites were allowed here and I'm unsure if any cc4 textures could be used effectively as grass. And you can skip the cyberdemon fight in this version by running to the exit :). (...)I'm unsure if any cc4 textures could be used effectively as grass. I gave it an attempt with some "vine" textures. The outcome didn't look that horrid in my view, but that's only mine. I don't think it'll look right in my map, I mean, the MIDVINE and MIDMOS textures start from the ceiling instead of the floor. Looking at Russian peoples maps, I notice they either use custom textures for grass or custom sprites; can't seem to do that here I guess. I'll see if I can cut some grass in the Courtyards though, as that seems my best option at this point. Also redoing the cyber courtyard by adding another trap or so. Well, didn't even with the texture's starting way given. They look like plantal buds or something. YES! I STARTED BUILDING THE LEVEL FOR THIS PROJECT! My map (820000P) is done, at least until I find out, that I need to change something. It uses the cc4 texture pack, but the sky is supposed to be orange, which is going to be its ep1 color in the final product as I was told. Single player (coop and dm starts present but untested), pistol start + no secrets compatibile, difficutly setting present. 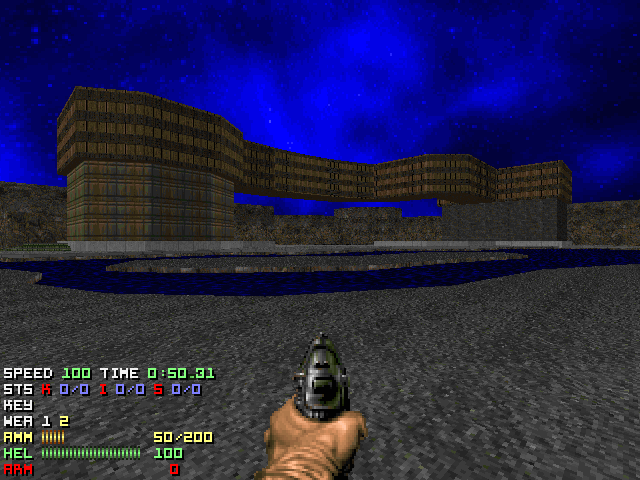 The map is relatively easy because it is supposed to be in middle of doom 2 pseudo-episode1. Just play it on HMP, that is the default difficulty (not UV), You can try UV if you want to, but prepare to suffer, it adds three more unnecessary archviles to burn you up. Wow just 3 maps lefts! i wish you all the luck guys! Well, I recall that it's about 15 months that I'd started mine, and not even one passed by since I've submitted it. Mine is in progress still, but I've only managed to find 2 of those 11 working days I've wanted so far. I'll do my best to get it done this month. Whoop! It's been a while since I made a post here, but I actually have an upgraded / improved version of Fortress of Magic. I'll be sure to post it a little later today. Been a while, but I've got some update on my own map for the project. ^_^ Design-wise, my map's finished now, I've got all five rooms made and decorated. Now I just need to finish the gameplay-aspect: place monsters, set some more traps and make sure there's enough ammo and health. Hopefully that won't take too much longer to complete. Cheers! Final compiliation is just around the corner. From the OP it looks like there's a slot still open. I started something for this a while back on a random whim that I suppose I could finish -- is it still open, by chance? 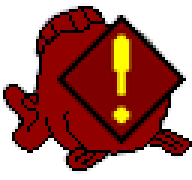 If I recall correctly, Empty is an actual mapper for this project. If I am correct in saying that then I have no problem with giving up my map slot if you would like it. I think the mapping slots is first-finished-first-served or something? Well this is embarrassingly long over due. This should be an otherwise final version of my submission; if anyone finds any egregious errors, I'll fix it, but at this point the map's pretty much done. Tested in BOOM.EXE, runs, no crashes, completable; stuck it in MAP21 (Episode 3) for testing. I noticed a problem with my map, regarding an elevator. update forthcoming. Any other news with the wad? Well yeah I know that but I just think my map is very out of place in terms of quality when compared to the work of the others, though I am unsure of game play but mine doesn't seem to have that down to a T.